There is a lot of misinformation about manufactured homes in this nation. Most of the uninformed believe lies that revolve around a mobile home’s construction or the people living in them. We’re going to clear all that up in this article. 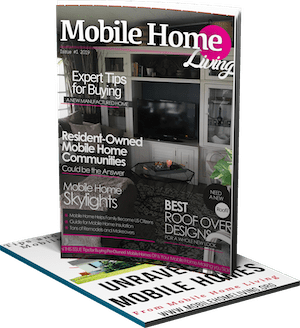 We share these manufactured home facts with hopes to educate and cut through the misunderstandings and outright lies that have plagued the homes for decades. Manufactured homes are affordable because they are built in a factory (with very high standards). There are three ‘levels’ of manufactured housing models. The most affordable models are the most popular. Their lower cost is due to cheaper materials and construction techniques such as using staples instead of nails. This doesn’t mean they are an inferior home – they are just made for families that don’t need a lot of bells or whistles. Learn more about The 3 Levels of Manufactured Homes Quality and Price here. Yes, there have been a ton of builders that did not have a quality product. They simply focused on quantity and not quality. This lack of quality created a stereotype that all mobile homes were unsafe tin cans. the homes and the people that bought them and the industry suffered immensely for it. That’s why the HUD code was brought to Congress in 1974. It was supported by manufacturers that understood quality was the only way to make the industry stronger and able to survive. ‘Manufactured home’ is the proper term for a home built to HUD Code standards that were adopted by Congress in 1974 and went into effect on June 15, 1976. Simply put, a manufactured home is a factory-built home built after June 15, 1976. “Mobile home” is the term used to describe homes built in a factory before June 15, 1976, when the HUD code went into effect. The industry used the HUD code as a catalyst to rebrand the homes as ‘manufactured’ instead of just ‘mobile’. These newly regulated homes were far safer and had much higher standards of quality compared to the mobile homes. They weren’t so mobile anymore. Before 1953, the term ‘trailer’ was used to describe the homes. As the homes progressed, it was necessary to use new terminology to describe the difference in travel trailers and the new permanent, factory-built homes that were being produced. 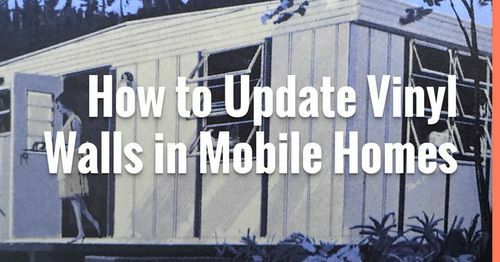 To learn more about the history of mobile and manufactured homes, read our The History of Mobile Homes. Yes, manufactured homes are moveable but it will take specialized trucks and equipment so it isn’t easy (or cheap). Only Manufactured homes can either be placed on a lot with a permanent foundation and on leased or owned land. You can move a stick-built home, too, so the mobility of a home has little bearing on the quality of construction. Putting a manufactured home on a chassis is simply a more convenient way to build a home in a factory. 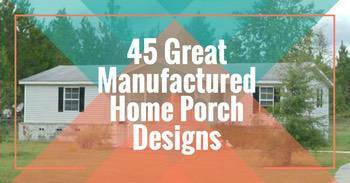 Manufactured homes can be sited on a parcel of land just as a home can be built there. In this case, they can be designed so as to be indistinguishable from conventional site-built homes. Manufactured homes can also be placed in a land-lease community where the home is owned and placed on leased land. Modular homes are built to the state, local or regional code where the home will be located. Modules are transported to the site and installed. A manufactured home is a house constructed entirely in a controlled factory environment and built to the federal Manufactured Home Construction and Safety Standards (HUD code). The most recent amendment to the HUD Code is the Manufactured Housing Improvement Act of 2000 (MHIA 2000). Is it ok to use the word trailer? The industry would probably have a heartattack if they heard anyone use the term trailer. Trailer is an outdated, derogatory slang term for a mobile home and should not be used. Likewise the word ‘trailer park’ should not be used. The correct term is ‘mobile home’ or ‘manufactured home’ community or land lease community. The term mobile home is fine with me but ‘trailer’ should be used for campers that you tow behind your vehicle or vintage mobile homes made before 1954 (when the Trailer Coach Association of America renamed themselves The Mobile Home Association). Yes. Yes. Yes. Yes. 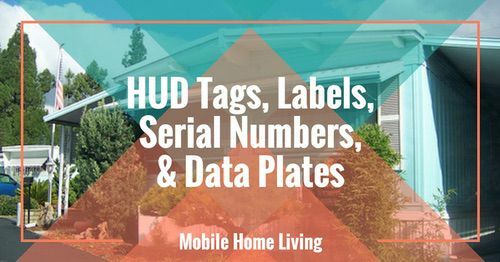 Manufactured homes are built to the HUD Code which is a performance-based construction and safety standard. Homes are built to regional conditions. Research has shown manufactured homes can withstand weather events like hurricanes as well as or better than site-built homes. Insurance studies reflect the fact that manufactured homes today are designed to prevent fires, and have features designed to inhibit and limit the damage caused should a fire occur. 99% of the things you think you know about a manufactured home is most likely false – they are safer than stick-built homes and have 50% fewer deaths by fire. Yes. All manufactured homes have specific energy efficiency standards set by the federal government in the HUD Code. For example, manufactured homes built after October 1994 are required to be insulated to the geographic zone they are designed for, must have double-pane windows and must have ventilation fans in kitchens and bathrooms. While the HUD minimum standards are helping to reduce energy costs for manufactured home buyers, several manufacturers are building homes that exceed the minimum HUD insulation standards, and that have advanced energy-efficient ventilation systems to maintain healthy indoor air quality even with tight construction. Such homes use 30-50 percent less energy for space heating than homes built to the minimum HUD standards. Several manufacturers are partners in the Energy Star program. An Energy Star qualified manufactured home is a home that has been designed, produced, and installed in accordance with Energy Star’s guidelines by an Energy Star certified plant. 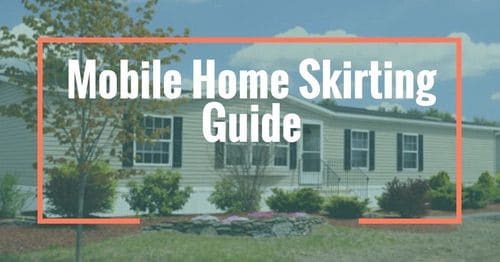 Learn about Replacing Mobile Home Windows here. Unfortunately, yes. Manufactured homes that are not attached to owned land are considered chattel. Chattel is a real estate industry term used to describe property not legally tied to the land where it may be permanently sited. Loans on chattel may have fewer financing options and have higher interest rates than conventional property loans, but there are companies that offer competitive rates and terms. Homes that are affixed to owned land are known as real property. Financing a manufactured home as real property is much the same as financing any other home. Because of their value as affordable housing, federal law mandates that Fannie Mae and Freddie Mac provide chattel loans for the purchase of manufactured homes, but those organizations have not lived up to their government mandate. Many local governments restrict manufactured homes with zoning and land use regulations. Why? Because the stigmas and stereotypes associated with manufactured homes are alive and well. This also happens when personal opinion trumps proved facts and data. Many experts think the specific language in the HUD code should prevent local governments from restricting manufactured home in their cities. Many agree the federal law should prevent local governments from regulating the placement, appearance, definition, and construction of manufactured homes; however, HUD has not been active in enforcing preemption, leaving its full authority over these matters untested in recent years. The actual language of the MHIA of 2000 says that preemption should be broadly and liberally interpreted. As always thank you so much for reading Mobile Home Living! Thank you so much for your website. It is very informative & encouraging. Like you say, there is almost no information on the internet about mobile home living. My husband & I bought our ’91 14X70 Atlantic home in 2015. It had been in very poor condition, but the previous owner did alot of work on it; & we had more work done. This is our retirement home; we moved from a cottage style home in town to this beautiful location on a wooded hill in the country. Our neighborhood in town had deteriated greatly through our 35 years of living there & was no longer safe. Basically, this is all we could afford, but is paid for & that means alot. we have 12 acres & it’s very beautiful & peaceful & we love it. True friends like us no matter where we live; & our kids have to accept it. Thanks you so much for the kind words. I appreciate you taking the time to comment, too! Your home sounds gorgeous! 12 acres is a good size of property. A 14×70 is a great size for two retirees. I hope to hear from you again! You should sign up for our newsletter using the form at the bottom of the article. Thank you!! I was surfing the net and came across your site. Very interesting reading. I read your comments under the heading entitled “Zoning issues have come up in local government meetings. Does the HUD code prevent zoning restrictions of manufactured housing?” and immediately thought about the “Statement of Policy” HUD published in the Federal Register on May 5th, 1997, regarding clarification that a HUD-coded home cannot be treated any differently than a structure built to a State or Local Code (Modular Homes). You may find additional guidance and support from a State’s SAA should you run across any local jurisdiction which is attempting to exclude or restrict the installation of Manufactured Housing in their community. (If your unable to find a copy, email me). Thank you! I’m trying to learn about all the HUD regulations and rules but there’s just so much of it I can’t keep up. Thanks for the heads-up! 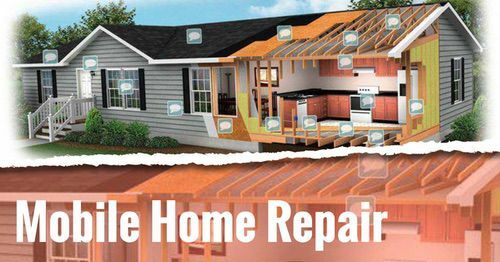 Contact McGarry and Madsen Home Inspection at this website (link). They will either be able to do it themselves or they can give you a qualified recommendation. It is absolutely normal for a water heater to be behind a wall in a central location for all plumbing fixtures. Cooling units are placed outside due to the condensation – you would have water everywhere if they put a large air conditioner unit in the home. Best of luck and congratulations on your new home! You’ll find something! You’ll want to take your time and not settle whether it’s a condo or a mobile home. The structure is what matters most on mobile homes – the flooring, roofing, walls, windows, etc. Cosmetic issues are fixable. 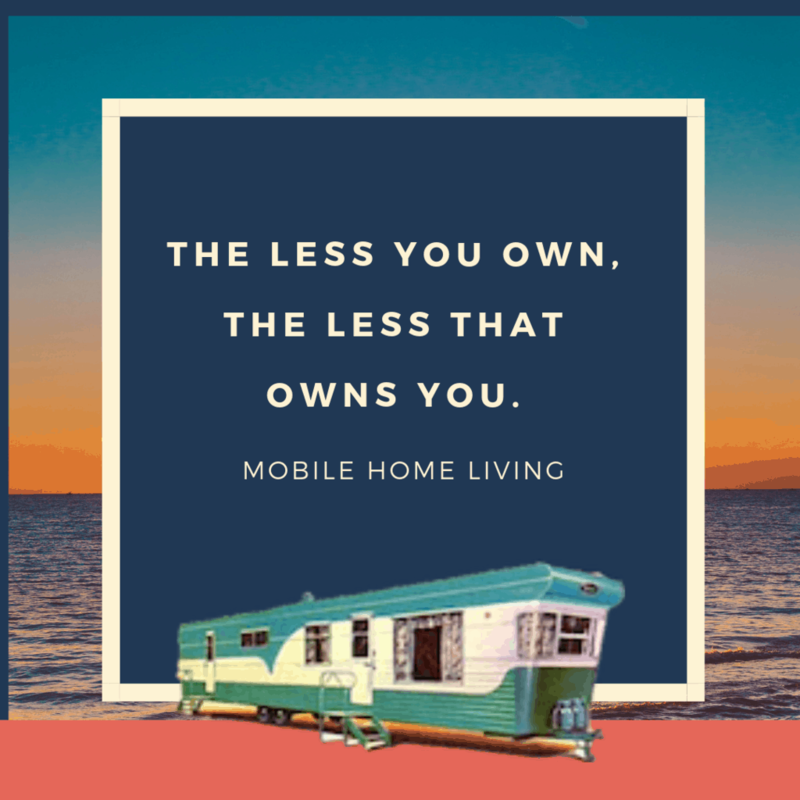 Hire a trustworthy realtor that is knowledgeable about mobile homes (and isn’t biased against them) and an inspector that is trustworthy. They will both be worth every dime you pay. I want to reside my double wide mobile home. I have found that there are horizontal ‘furring’ strips on the outside of the wall studs that the metal siding is attached to. I don’t have a clue how to deal with that. Any suggestions? Thank you so much for writing this article. I found it very informative and encouraging! Hi Crystal, I am a frequent reader of your site. I just wanted to add a couple of comments. I am also a follower of the tiny house movement. In your intro to this particular column, you noted that many of the people who are fans of mobiles don’t really know anything about them. It is also true of the tiny house movement. I have spent a number or years in ‘trailer houses’- a 1943 Zimmer and a 1947 8’X40′ (actually only 37 1/2 because the hitch is included in the length) that is an almost perfect double for the ‘long long trailer’. I spent another 10 years in a 10 wide with a fold out living/dining room. Those trailers were amazingly well planned and well built and I loved every minute in them. We pulled the 40 foot trailer over the Sierra Nevada’s with a Uhaul truck. I think that the tiny houses, although really attractive on the outside, rarely manage to add the livability of those old trailers. I wish more people would take another look at the old 8 and 10 wides. Many people who could benefit from living in these kinds of structures are prevented from considering it by the prejudices instigated by those who know nothing of the benefits that can be derived from one of these homes; a smaller carbon footprint, vastly reduced utility costs and a simplified life due to the fact that you must choose only the things you absolutely need for your tiny space. Who among us doesn’t own too much stuff? Even the most modest trailer park will allow a storage building, so you can keep seasonal clothes, outdoor equipment and change of season decorating items on hand. Now that we are in our 70’s, my husband and I intend to return to that life style. It only takes one outgoing person to pull a whole park together in friendship. Everyone may not want to join the weekly barbeque, but almost everyone is willing to exchange a friendly smile and keep an eye on each other. More ‘trailer parks’ is exactly what this country needs. It’s great to hear from you! I agree 100% – we do need more good parks available with an emphasis on community. Personally, I can’t wait to be able to move into a great park after I turn 55. I’m counting the days down – it just seems like my kind of paradise! Thank you so much for reading MHL and for taking the time to comment!